Adriano Goldschmied AG The Angel Bootcut Stretch Denim Jeans. 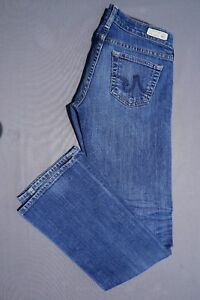 Women's Size 25R. thatstuffedcloset-2 has no other items for sale. Details about AG 'The Tomboy” Relaxed Straight Stretch Denim Boyfriend Jeans. Women's 25R GUC!